Book Challenge Day 14- The Book You’ve Read The Most Number of Times | What are we...the Whos? And when I say “clear winner” imagine Michael Phelps and Danny Devito racing a pool length. I truly don’t know how many times I’ve read this book, but it was enough to notice every line of the movie that was not a direct quote from the book. If I had to guess, I’d say it’s somewhere between 15 and 20 times. Disgusting, I know. But, when I was in school I didn’t read a whole lot for fun. I always felt guilty reading for fun when I had so much reading I should have been doing for classes. So when I did decide to read, it was usually last minute and because I just really needed a break. And when I really needed some comfort reading, I turned to my favorite people- that is the people in the world of Harry Potter. Why the third book you ask? It is the only book that doesn’t feature Voldemort (I don’t think that’s really a factor in my decision, but just an interesting factoid). All of the books have great twist endings that come after a beautiful build-up of suspense. But, I think this one just does it best. I won’t go into details in case you haven’t read it. Though if you haven’t, there is severe judgement coming at you from over here. With all the books, once I hit a certain point I was unable to stop. Like no food, no sleep, no interacting with other human beings. When I read this one, I hit that point much earlier and was so enthralled I bet a car could have driven through my house and would not have affected my reading. 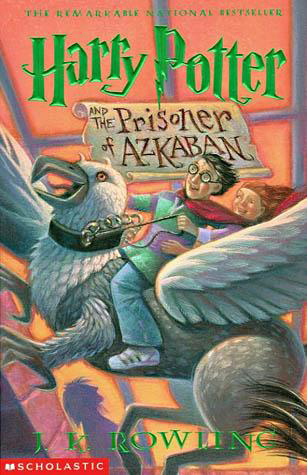 Posted in Authors, books, Reading, Uncategorized, Writing and tagged 30-Day Book Challenge, Harry Potter, J.K. Rowling. Bookmark the permalink.